Relax. Let us do the rest. With all the stress in life today you should be able to come home to relaxation and peaceful surroundings. Our goal at Jolly Lawncare is to provide an aesthetically pleasing and well cared for landscape while exceeding customer expectations. With over fifteen years in the landscape industry, we would love the opportunity to bring an enjoyable outdoor space to your home. Whether you’re interested in weekly mowing or complete landscape design and installation we’re ready to work with you to meet your needs. 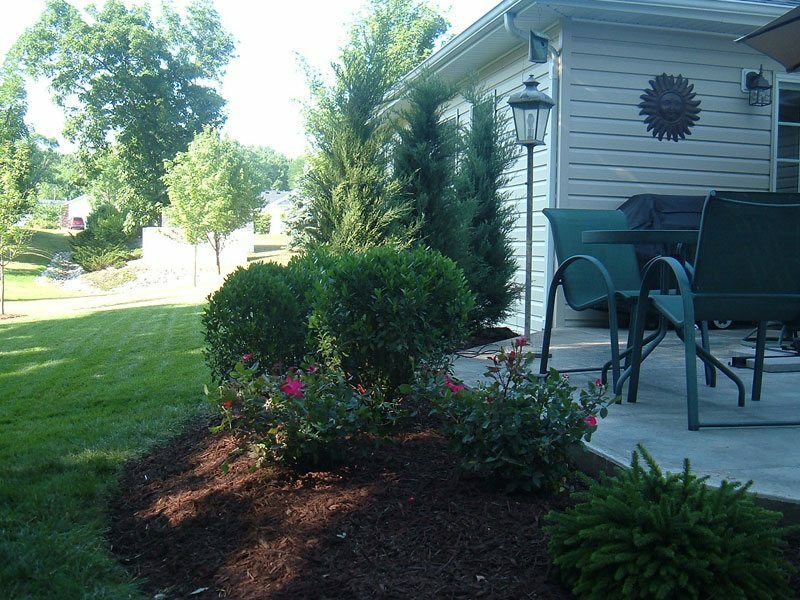 We try to incorporate year round interest into our landscape designs. Whether it is a small landscape bed, or an elaborate natural stone wall, we will make sure it lends character and beauty to your home from January through December. 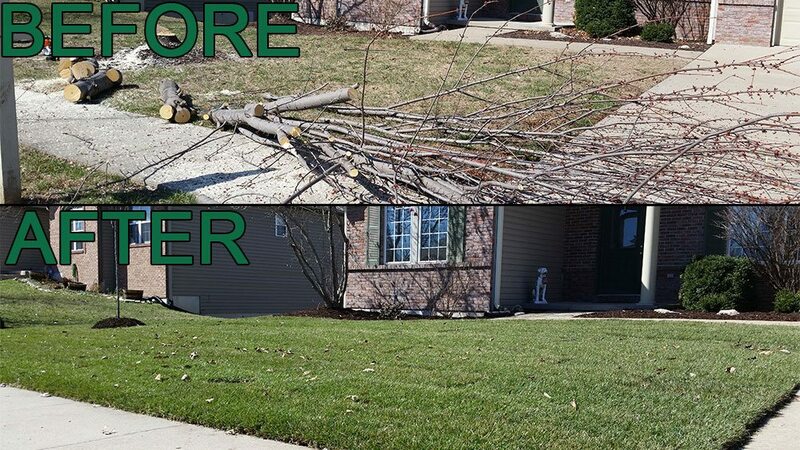 Tree Removal, Yard Grading, Sod and More! This customer's hillside wouldn't grow grass. 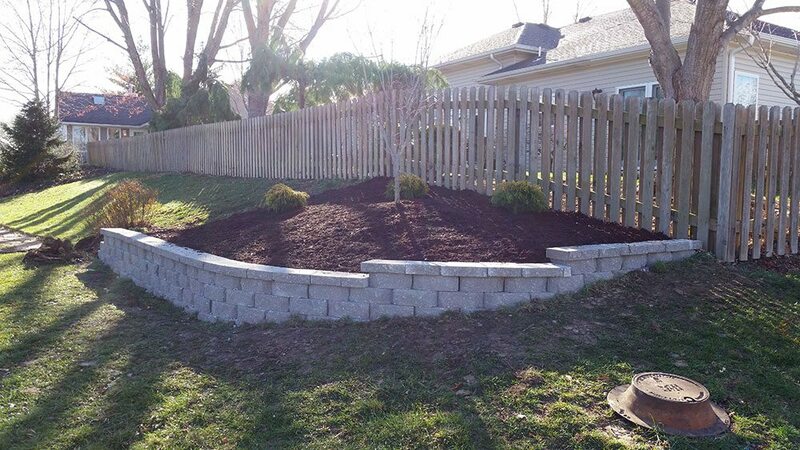 Jolly Lawncare did this landscaping job by building a retaining wall and turning this problem area into a perfect place for a flower bed. 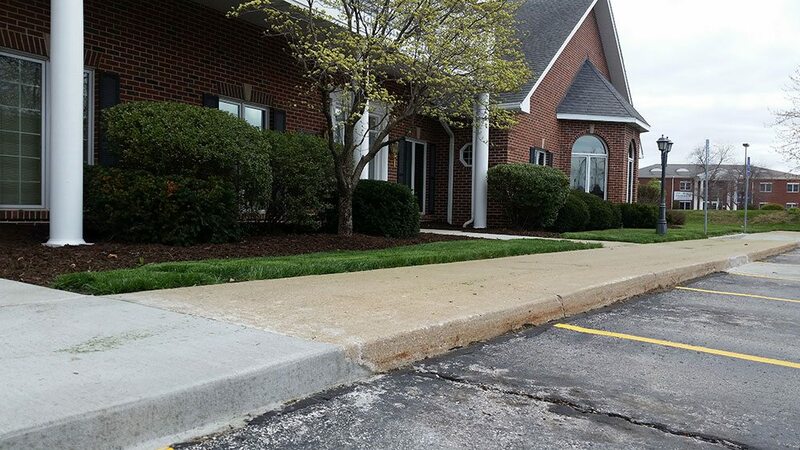 Despite the piles of snow all around us, Missouri Spring is just around the corner and your yard needs some love and preparation to give you a healthy lawn through the warm months! Jolly Lawncare is looking to hire motivated individuals who can be detail oriented and fast learners. Prior lawn care experience is not required, but a solid work ethic is. It’s almost time to start watering, fertilizing, and caring for your yard again. Wouldn’t you rather have us do that? 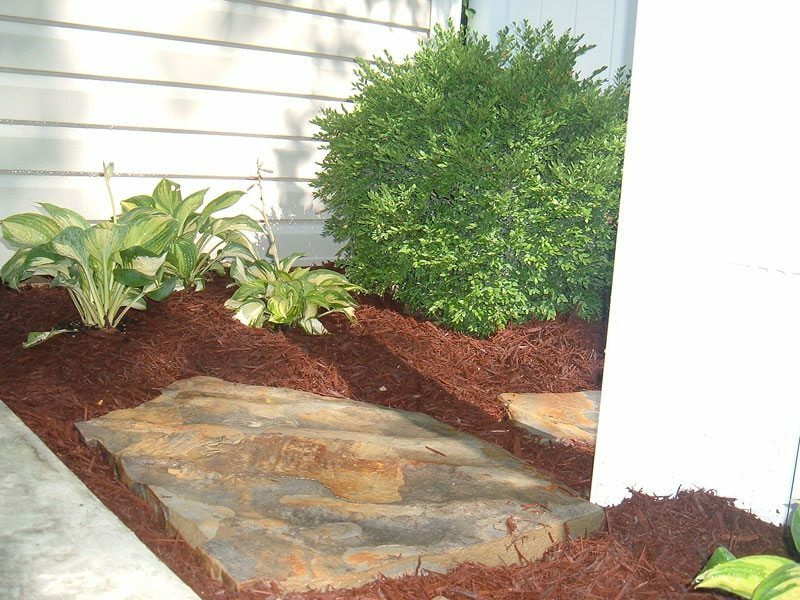 Don’t wait for your yard to be flodded before calling us about our Drainage Solutions! It’s amazing how far a little grading, fill dirt, and new sod can bring any yard! This customer had a very splotchy back yard where a previous landscaper had done a bad job cleaning up following adding a paver patio. After we finished our work, their backyard looks awesome!